VIPAccessEXCLUSIVE: Celebrities Showed Their Support At The Phenomenal 2017 Mattel Party On The Pier – RECAP Here! A day at the iconic Santa Monica Pier filled with tons of excellent games, unforgettable moments, and your favorite celebrities – what could possibly be better than that?! The Mattel Party on the Pier is one remarkable event that never fails to bring so much joy to all attendees each and every year. The exceptional event continues to get better and better as the years go by and there’s a never-ending amount of fun for everyone. 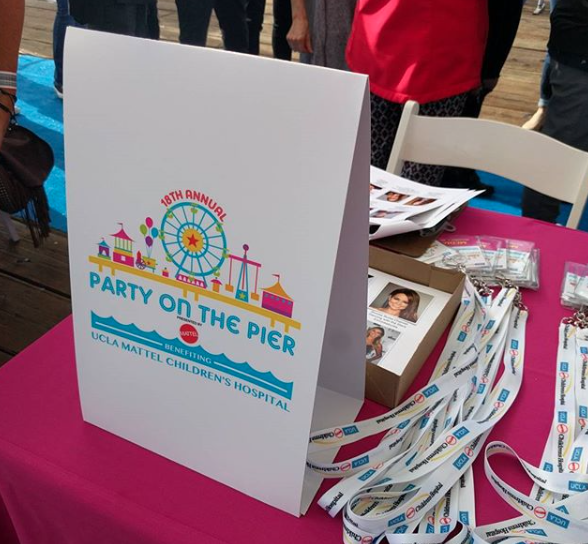 This year’s brilliant Mattel Party on the Pier took place on November 5, 2017. So many extraordinary celebs made their way onto the event’s amazing, blue carpet. Tia Mowry, Tammin Sursok, Tori Spelling, Brooke Burke-Charvet, Raini Rodriguez, The Fourth Kingdom, Jaheem Toombs, Landry Bender, Megan Nicole, Casey Simpson, Kyla Drew, Jet Jurgensmeyer, Thomas Barbusca, Brielle Barbusca, Carson Lueders, Michael Campion, and many others had a fantastic time at the event. The wonderful Mattel Party on the Pier gave attendees a day to remember with unlimited carnival rides, incredible games with tons of Mattel toys as prizes, a cookie decoration area, glitter tattoos, hair-braiding, arts and crafts, a “Power of Play” area and many more excellent activities. Kids and families were able to get up on their feet and jam out to some awesome, fan-favorite songs with the DJ that was at the event. In case you got hungry at the event, attendees were also able to much on delicious food catered by Wolfgang Puck Catering. The best part about this fabulous event is that it benefitted the UCLA Mattel Children’s Hospital, which has and continues to make life-changing efforts for more research and treatments for the phenomenal boys and girls at the hospital. Let’s take a look at some of the posts that many of your favorite celebrities shared from the event! The outstanding Mattel Party on the Pier is such a marvelous event for friends and families to attend. It’s a day that brings an endless amount of happiness to everyone and it’s so great to know that all of the proceeds help the magnificent children at the UCLA Mattel Children’s Hospital. The Mattel Party on the Pier is one event you don’t want to miss, so be sure to follow @UCLAMCH on Twitter and Instagram for all the updates and join in on the conversation by using the hashtag #MattelPOP! Previous VIPAccessEXCLUSIVE: Lambda Garcia Interview With Alexisjoyvipaccess At The 2017 Latin American Music Awards! Next VIPAccessEXCLUSIVE: The Champions Of Magic Make Their Way To The US For The First Time Ever – Catch Them On Tour Now – RECAP Here!